A girl walks past the remnants of a house in the earthquake-devastated district of Awaran on Thursday, September 26. 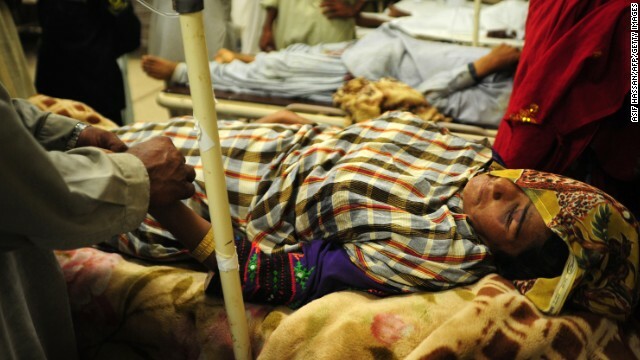 The 7.7-magnitude quake struck on September 24 in a remote, sparsely populated area of southwestern Pakistan. 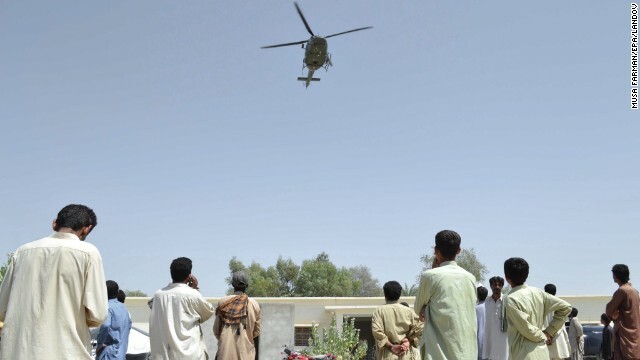 A Pakistani Army helicopter hovers over people as they wait for relief in Awaran on September 26. 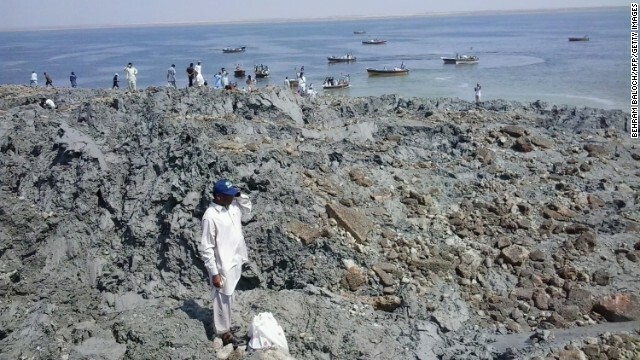 People gather on an island on Wednesday, September 25, that appeared off the coast of Gwadar after the earthquake. 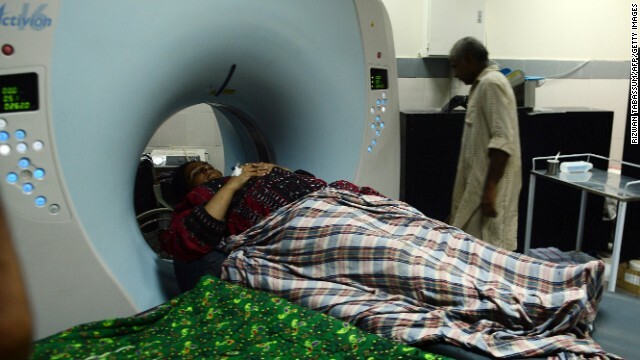 An earthquake survivor undergoes tests at a hospital in Karachi on September 25. 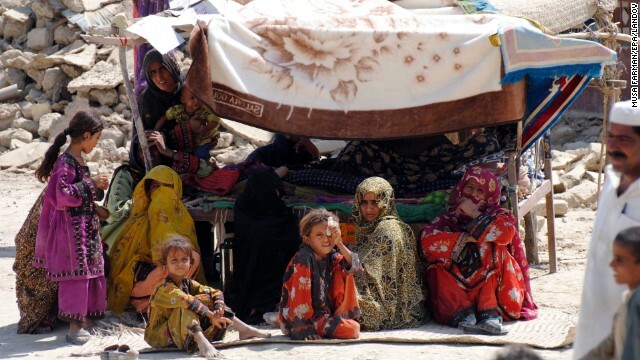 Survivors take shelter at a makeshift hospital in Awaran on September 25. 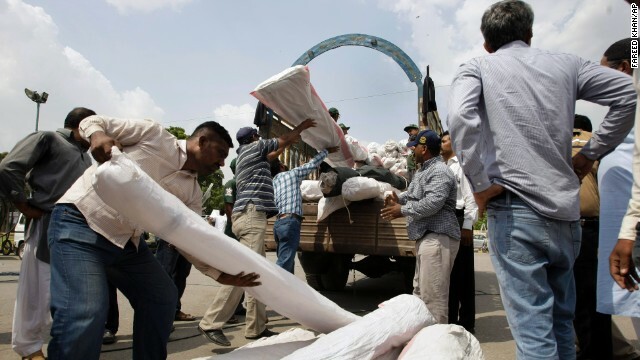 Volunteers load relief supplies in Karachi, Pakistan, on September 25 for earthquake-affected people of Balochistan province. 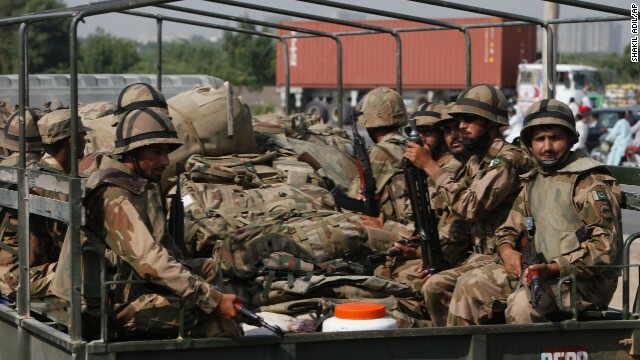 Members of Pakistan's army prepare to travel to Balochistan province from Karachi on September 25. 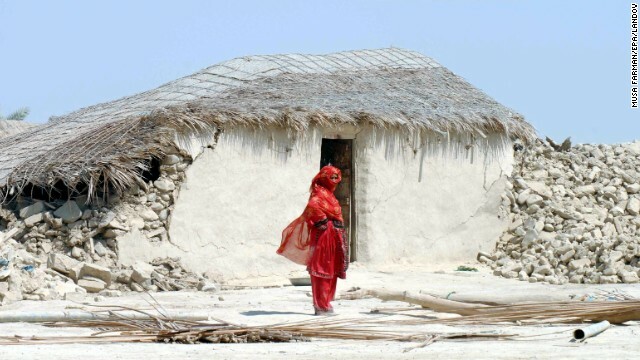 A woman stands in front of the rubble of her destroyed home in Balochistan province on September 25. Pakistani relatives help an injured earthquake survivor at a hospital in Karachi on September 25. At least 330 people have died, a spokesman for the National Disaster Management Authority said Wednesday. In addition to the fatalities, 445 people were injured, he said. People sit under a makeshift sunroof near the rubble of their destroyed homes on September 25. People affected from earthquake stand on rubble of their destroyed homes on September 25. 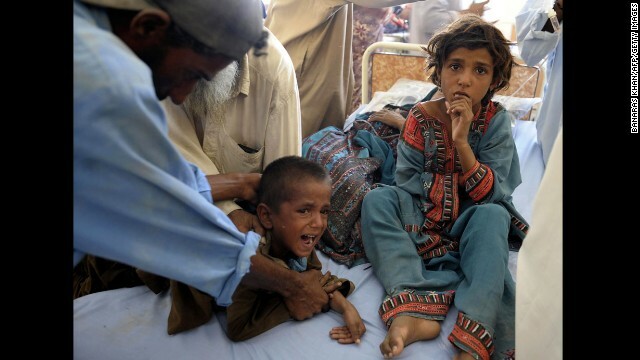 Pakistani children are treated in a makeshift hospital on September 25. People look for belongings on on September 25, amid the rubble of their destroyed homes after an earthquake. 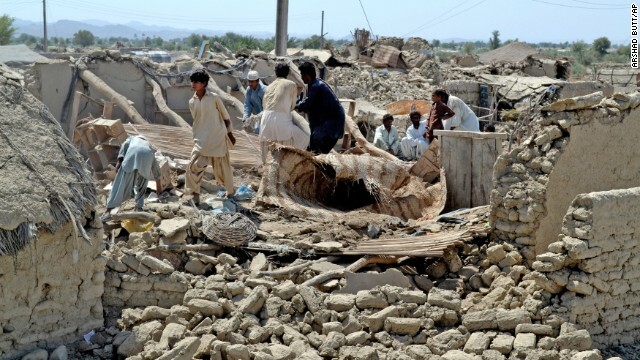 Survivors gather around destroyed houses in the Awaran district on September 25. 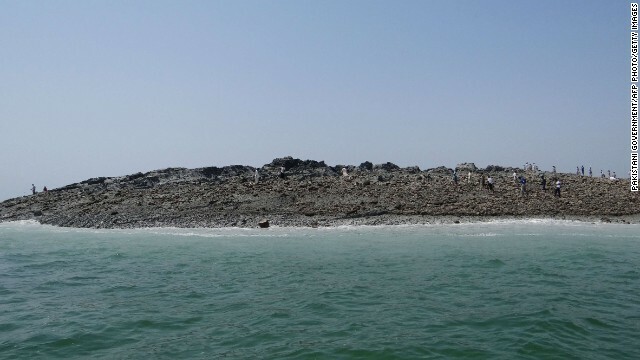 People walk on an island that formed off the coastline of Gwadar after the earthquake hit in this photo released by the Pakistani government. 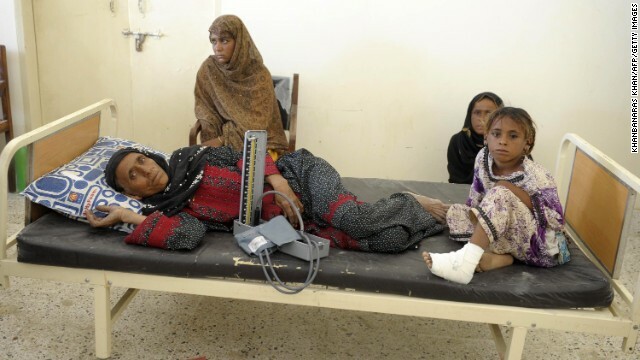 A family rests at a makeshift hospital in Awaran on September 25. 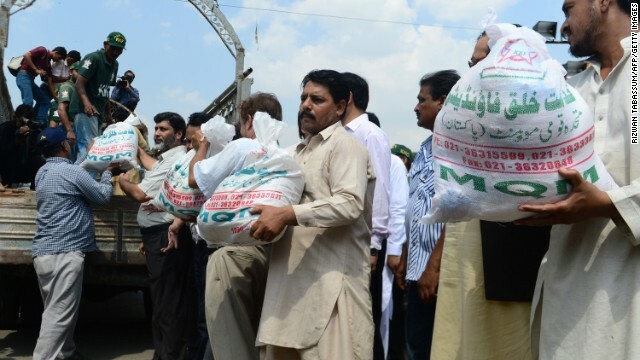 Members of the Pakistani Muttahida Qaumi Movement load relief supplies onto a truck in Karachi on September 25. People clear debris off of a truck in Awaran on September 25. 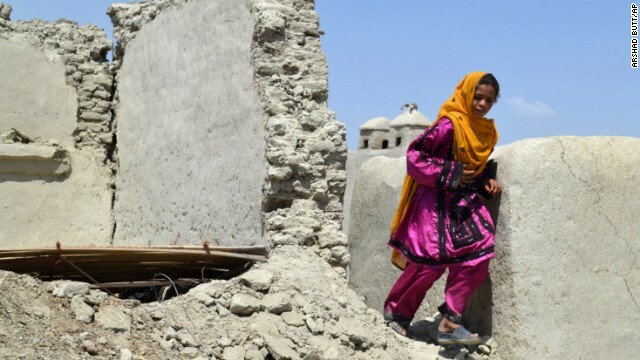 (CNN) -- A new powerful earthquake struck Saturday in southwestern Pakistan, shaking an area already trying to recover from a quake that killed more than 300 people. The 6.8 magnitude earthquake struck in Balochistan province Saturday about 96 kilometers (60 miles) northeast of Awaran, the United States Geological Survey said. 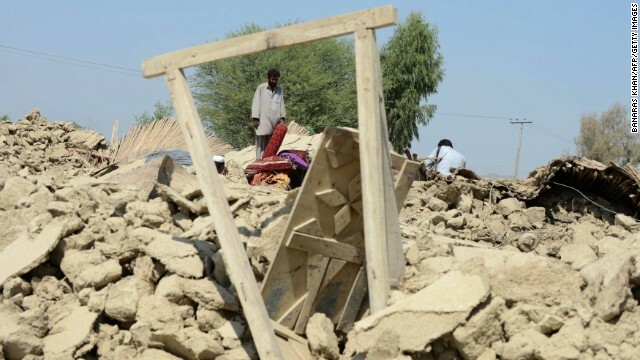 Rasheed Baloch, the Deputy Commissioner Awaran told CNN seven people died when a house collapsed in Mashkay Tehsil as result of new earthquake on Saturday. Just Tuesday, a 7.7 magnitude earthquake struck the same area of Pakistan. The death toll in that quake has risen to 366 people and another 765 are injured. Authorities estimate that 21,000 houses were destroyed in Tuesday's earthquake. 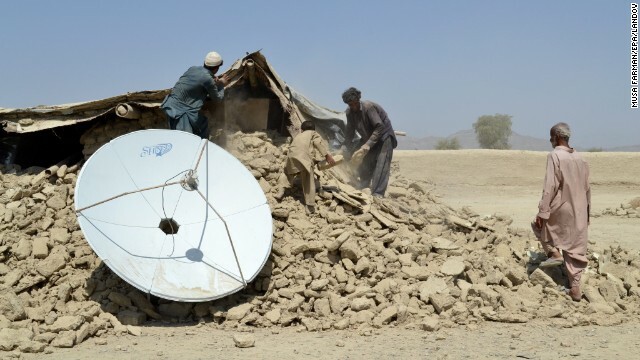 But Rasheed Baloch, deputy commissioner for Awaran district, told CNN more than 60 mud-walled buildings had collapsed in the Nok Jo area of the district. Four bodies have been found in the rubble, he said, but they appear to be casualties of Tuesday's quake. Baloch said a rescue operation was under way in Awaran district to retrieve the dead bodies and shift the injured to hospitals. The remoteness of the affected area and damaged communications networks are hindering the rescue operation, officials said. Rescue teams are also reluctant to visit some troubled areas owing to attacks by Baloch separatists, the deputy commissioner said. The separatists are blamed for firing two rockets at a military helicopter ferrying the chairman of the National Disaster Management Authority, Maj. Gen. Muhammad Saeed Aleem, and another general to the earthquake zone on Thursday. Both survived the attack, said Jan Buledi, spokesman for the government of Balochistan. The defunct Baloch Liberation Front reportedly claimed responsibility for the attack. Militants fighting for a separate state in Balochistan operate out of part of Awaran district, which has been the site of bombings. Tremors were also felt Saturday in Kech district, Khuzdar, Kalat and other towns of Balochistan province. Some of those injured in Tuesday's quake fled their hospital wards in Arawan as the new tremors rocked the area. 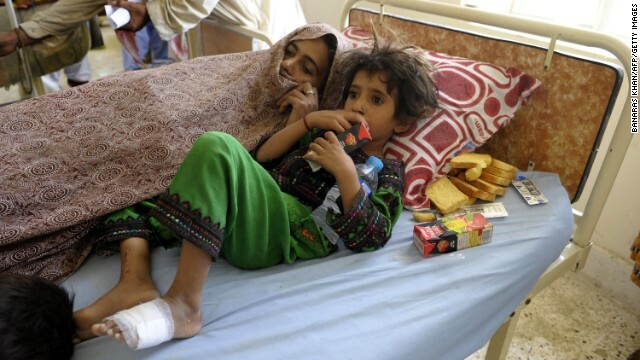 "More than 100 injured are now outside Awaran hospital," local journalist Muhammad Tariq told CNN. Local TV footage also showed ministers and members of the Balochistan Assembly walking out of an Assembly session due to the tremors. The session was subsequently suspended. "We cannot sit in the house after such strong tremors," Assembly member Mufti Gulab told CNN. The quake also caused people to come out of their homes far to the north in Quetta, the capital of Balochistan. "I was sitting in my office when the earthquake struck," Nazeer Ahmed, a Balochistan government official, told CNN. Saturday's 6.8 magnitude tremor "could be an independent earthquake and not an aftershock," of the 7.7-magnitude quake from earlier this week, Zahid Rafi, director of the National Seismic Center, told CNN's Pakistan affiliate Geo News. 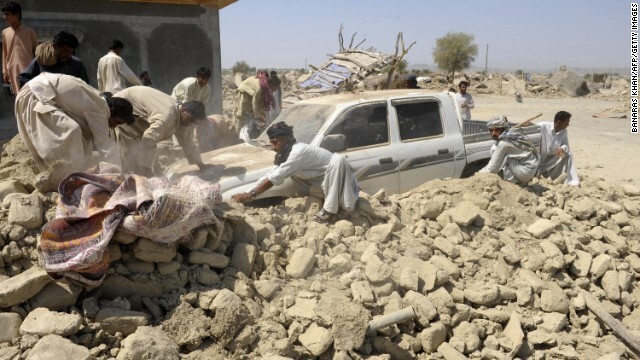 The second quake will only add to the difficulties for Balochistan's residents. Officials had already warned that thousands of survivors in need of assistance after Tuesday's quake are having to cope with high temperatures, a lack of drinking water and little in the way of shelter. CNN's Saima Mohsin in Islamabad contributed to this report.